Anatomy of the Valstarino jacket | Keikari.com Anatomy of the Valstarino jacket | On classic men's style, elegance and the beautiful life. Valstar is an Italian maker with a penchant for outerwear, best known for their A-1 flight jacket version, Valstarino, born in 1935, and first made of leather. In its previous life, the company was English, making very English rainwear in England, and known as English Fashion Waterproof right until 1911. That year the maker moved to Milan, changed names and was born anew as the first Italian rain coat specialist. Obviously they did something right as the Princess of Savoy and the Duke of Ancona granted Valstar their snooty royal warrants in 1939 and 1942. While the old A-1 examples I’ve seen have small hip pockets, Valstar’s Valstarino sports large flapped patch pockets with side entry. Otherwise theirs is a faithful interpretation of a tried-and-true design. 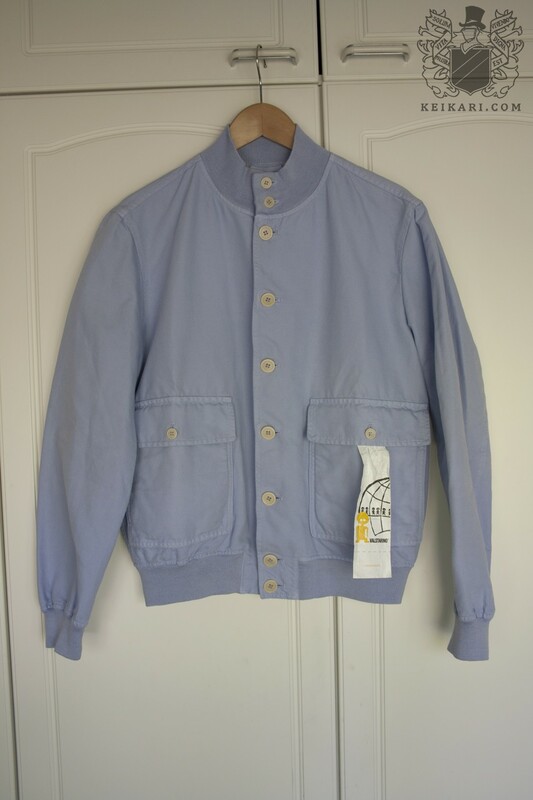 The example Valstarino is made from lavender cotton canvas with no lining, and has the usual A-1 details: button front; patch pockets; knitted stand collar, cuffs and waist; shirt-like construction. The fabric is strong, medium-weight and has no give. The cut is very slim, so much so that I had to size up from 38” to 40”, which never happens. 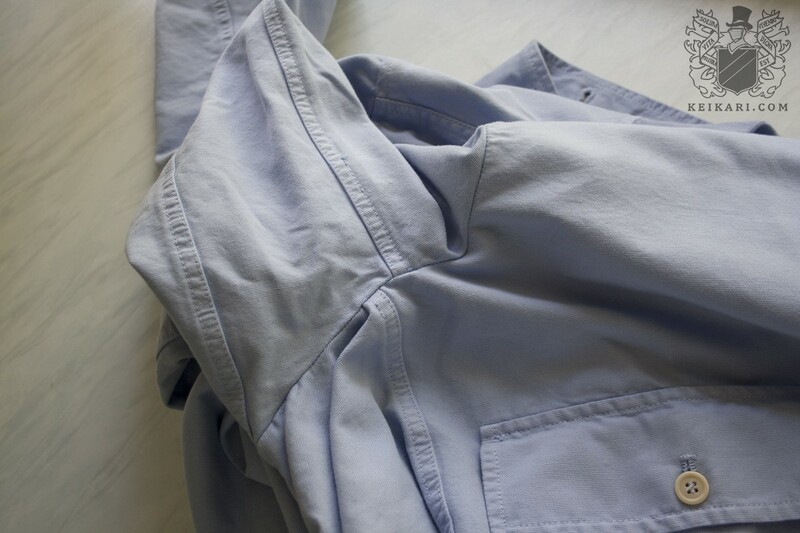 After having tried on five different variations, I must mention that this cut is not standard in all Valstarino jackets, and ease of wear depends on the fabric. 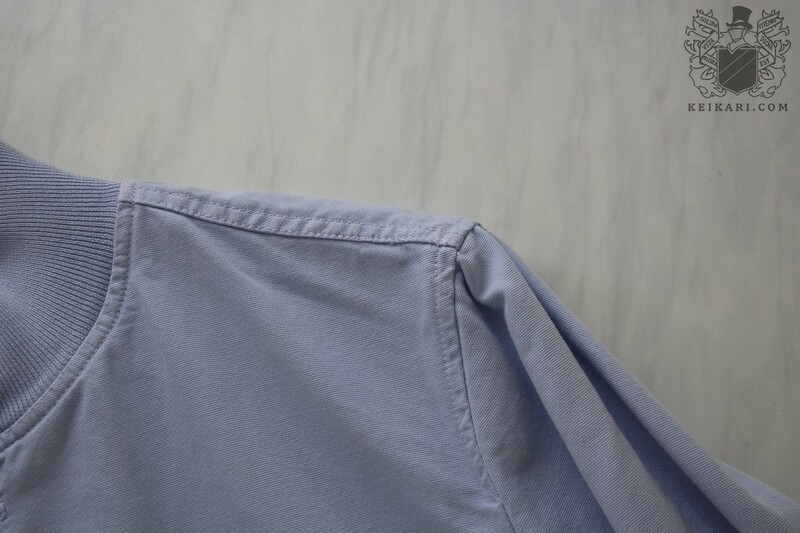 While this canvas version and another double-faced gabardine-flannel Valstarino are both slim and drape well, the other three were huge by comparison and bloused all over. The knitted collar, cuffs and waist don’t have much give, and, when coupled with the slimmer cuts, I’m confident to add that the Valstarino will not suit the fat man at all. 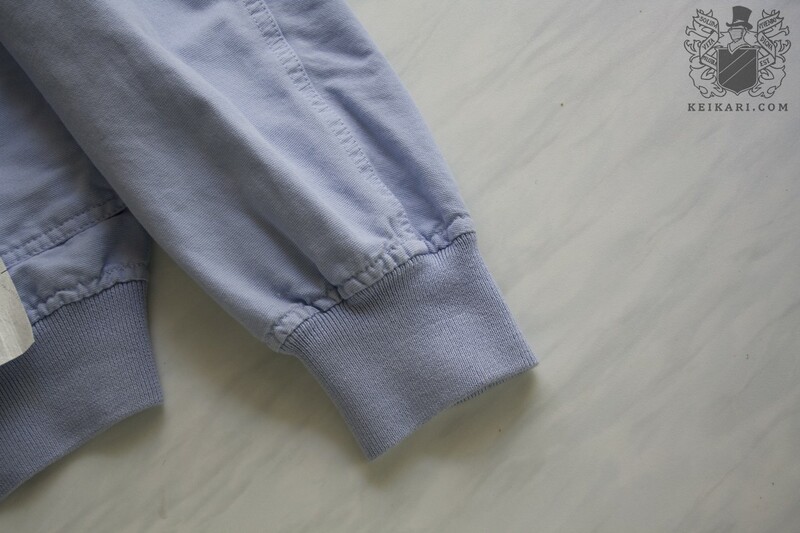 The hem is short and the jacket best worn with high-waisted trousers. 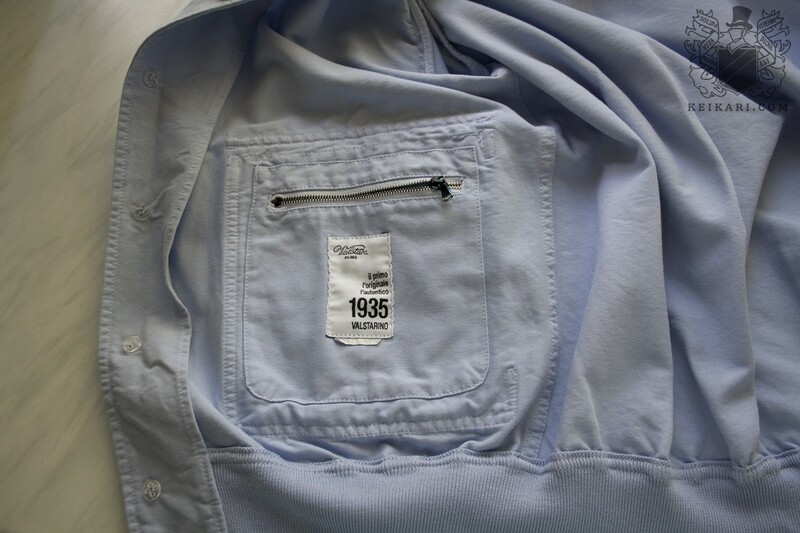 The dry clean only tag won’t please the lazy owner. 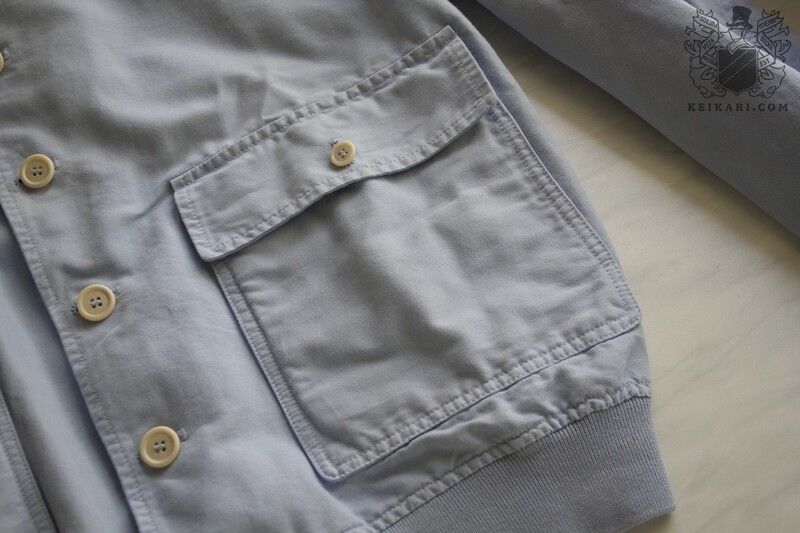 While all of them are straight and even, the jacket is sewn with a coarse, loose stitch that is on the ugly side. 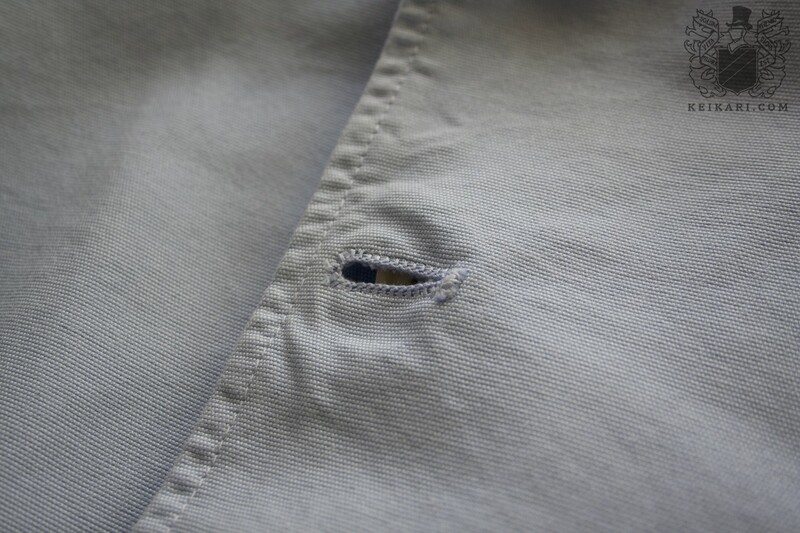 All buttonholes have a bit of purl on them, but they, too, are sparse. All buttons are lifeless plastic, attached poorly and droop already. 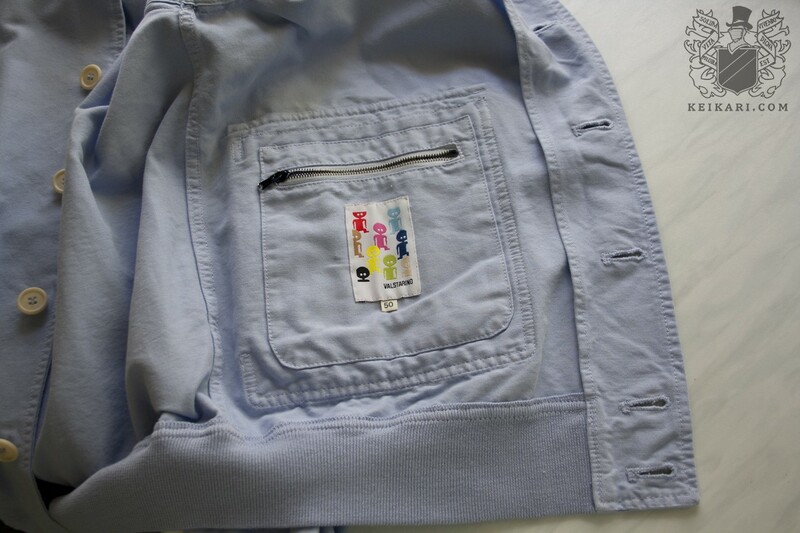 The jacket has two medium-size inner waist pockets with metal zippers and a silly Valstar alien logo on one. A large hanger loop decorates the inner neck. The main interest for me are the large hip pockets, which I adore for looks alone. 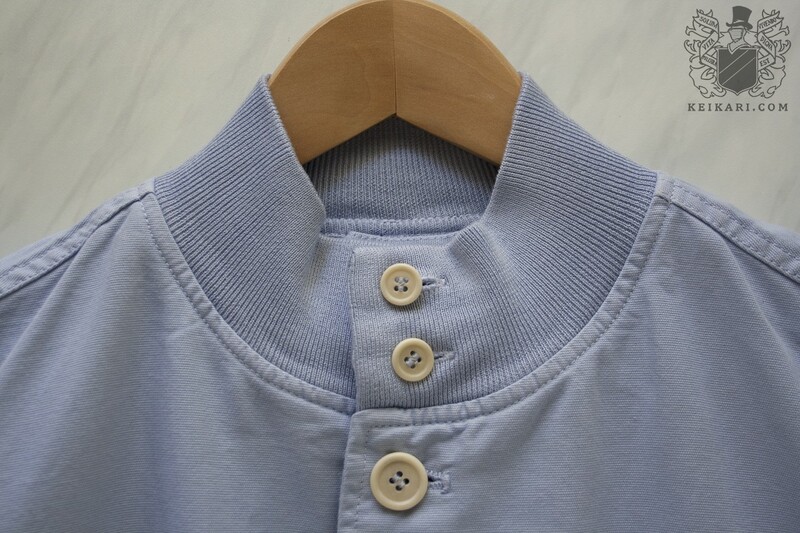 The button front is slow and cumbersome to use when done up fully, but closing just a few at the middle gives a nice, slouchy look not really accomplished with zipper jackets. 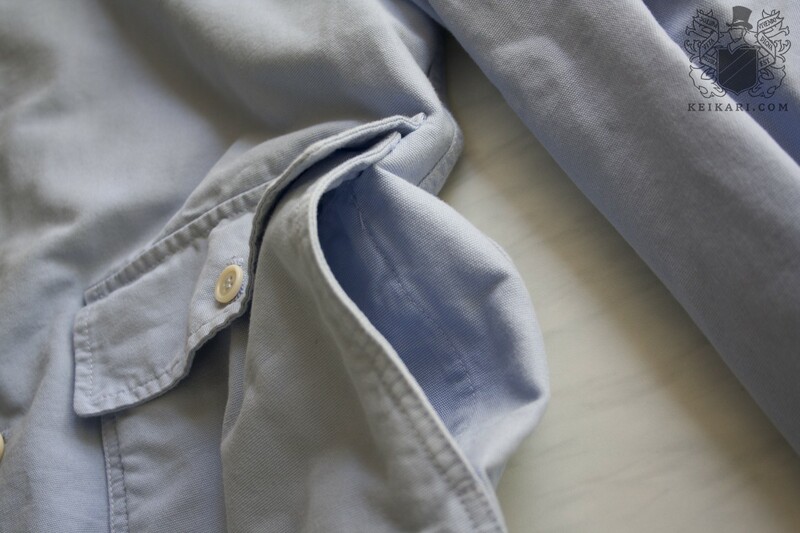 Another high point are the sleeves that are cut high and taper to the wrist nicely, guaranteeing comfy use and form-fitting look. After pondering these great and poor things, I will end by declaring that the Valstarino is one of my favourite short outer layer jackets. The maker offers it in hundreds of fabric and colour combinations, made from leather, suede, cotton, wool, lined, unlined, light, dark, that there really is a Valstarino for every man who fits into the cut. The look is clean enough to be worn with tailored trousers, and not many short outer layer jackets can accomplish the same. The largest, most convenient and affordable selection of Valstarinos can be found from Yoox. My thanks to American WWI materiel designers and Valstar for the jacket that has no peers. I’ve tried three Valstarinos made in different years and from various materials. All had a slim cut so I presume this is what the factory offers as a default. Sizing up would be the thing to do, but then the shoulder seams may just be too wide apart for you. Are the Valstarino jackets similar to the Ring Jackets in that they both run on the slimmer side? Should I size up for room? 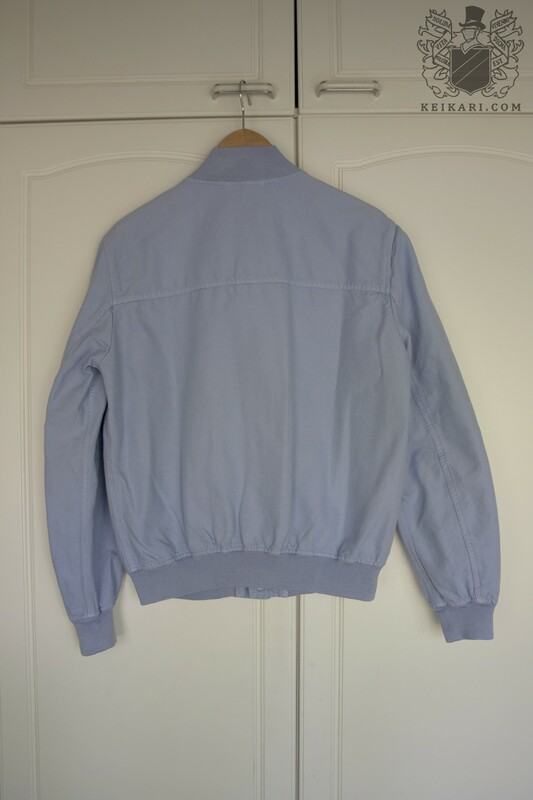 When is this jacket going to be for sale on Style Forum?